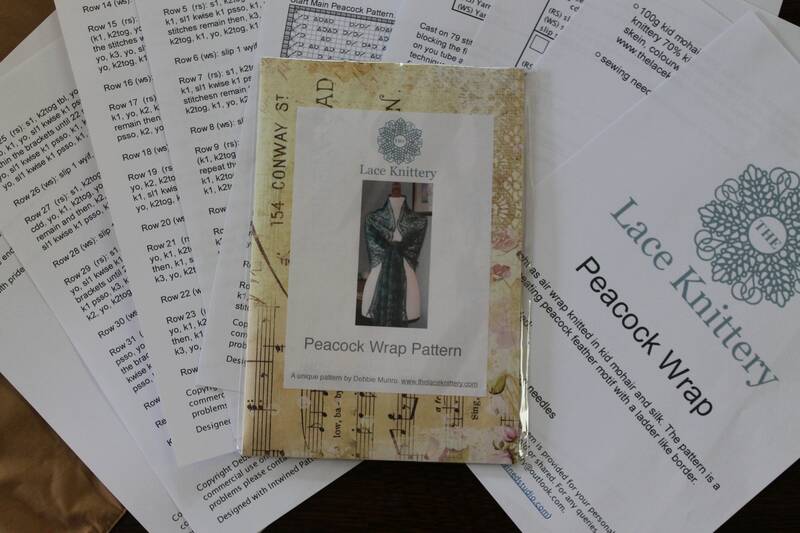 This listing is for a physical pattern of my peacock wrap. It is sent in a luxury, double sided card keepsake folder to keep is save. The folder fastens with velcro and opens out flat. The wrap is inspired by trips with my small children to Warwick Castle. It has peacocks in the grounds and we have spent hours trailing them in the hope that we would find a feather. On one lucky occasion we found two and I have them in my design studio now. The wrap is lace knitted using kid mohair and silk but would work for any lace weight yarn. The completed size is c. 70cm x 200cm but as with any lace knitting pattern is adaptable in width and length. The gauge is free and for a wrap the size stated above requires c. 800m lace weight yarn and a pair of 4mm needles. The yarn in the photos is available from The Lace Knittery and is a hand painted kid mohair and silk mix.